Now that we know the codename for LG’s Nexus phone is Mako, we can start the usual searches for it across the web. 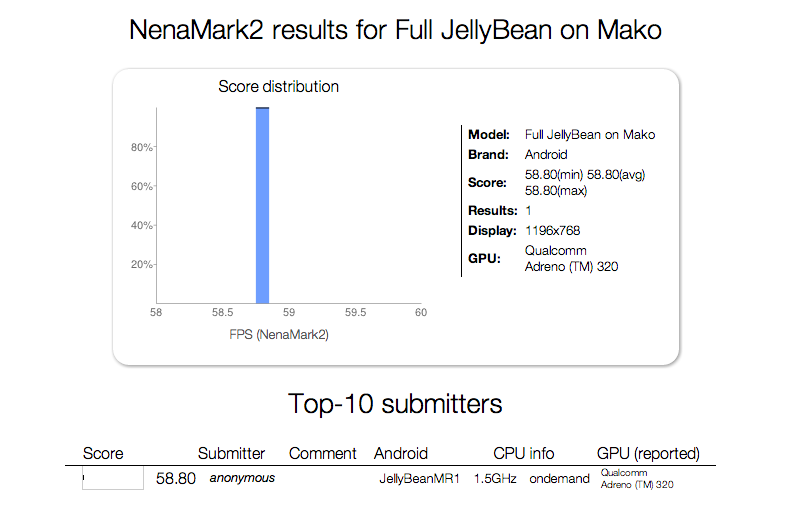 One of the first things we almost always do is search NenaMark, as testers tend to benchmark their devices on this site well before they are ever released. 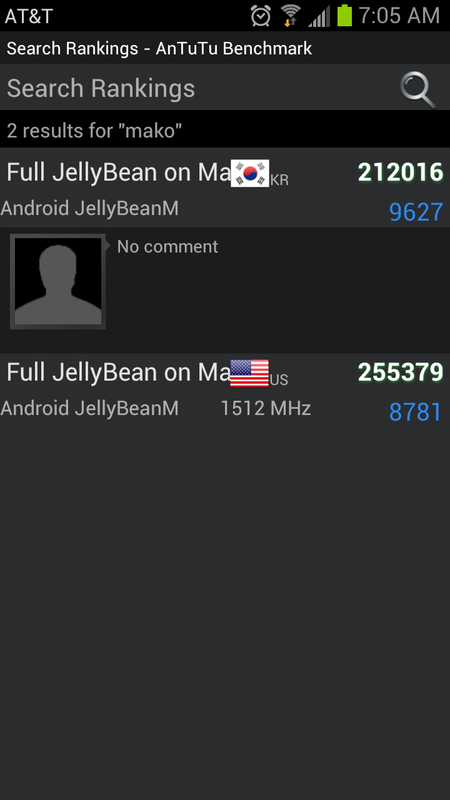 After doing a quick “find on page” in the results section, you will definitely find a device by the name Mako that runs a similar “JellyBeanMR1” to the devices we saw last night in pictures. There isn’t a lot to learn, but we do get confirmations on the Snapdragon S4 Pro processor thanks to the Adreno 320 GPU note. We can also see that the screen resolution is an HD screen at 1196×768. At full resolution, without the on-screen navigation keys, that would read 1280×768. The device is showing in AnTuTu as well, but there isn’t much to gather from it other than the clock speed of the quad-core processor which is 1.5GHz.